The use of license plate readers is increasing in popularity with police and other law enforcement agencies to find stolen cars and catch up with people with expired licenses or active warrants. And when they’re not piggybacking on police cruisers, plate readers are often affixed to utility poles or freeway overpasses, scanning the passing traffic below. However, it’s not just police who use automatic license-plate reading technology. They are used to process fees on toll roads, keep track of customers in parking lots and garages, and monitor city streets for cars whose owners are behind on payments, flagging the vehicles for repossession. They combine high-speed cameras with sophisticated software to capture and convert license plate images into data that is then compared with information in other databases. They can collect a driver’s geographic location, along with the date and time a vehicle was in any given place. If multiple stationary ALPR (automated license plate readers) cameras are installed along a single thoroughfare, the data can reveal in which direction, and what speed a car is traveling. 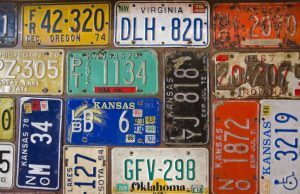 If the data are stored over time, they can reveal every time a particular plate has passed a given location, allowing the government to infer that the driver likely lives or works close by. The data, which includes photographs of the vehicle and sometimes its driver and passengers, is then uploaded to a central server. ALPR data is gathered indiscriminately, collecting information on millions of ordinary people. By plotting vehicle times and locations and tracing past movements, police can use stored data to paint a very specific portrait of drivers’ lives, determining past patterns of behavior and possibly even predicting future ones. These systems have proved useful to their public and private buyers, and the technology is proliferating. As far back as 2011, a survey showed that 71% of law enforcement agencies used license-plate readers, and that percentage would continue to increase. It’s important that the images collected, even from a moving vehicle, are accurate and easily read. To ensure the highest level of clarity, Universe Optics will design and create a precision lens that meets the highest level of dependability for your particular license plate reader.